We offer OSHA approved forklift operator safety training and certification classes for businesses, with a five person minimum. Once a month, we have an open enrollment class with no minimum. Contact us for current month class schedule. Operators are trained to safely operate the equipment specific to the company they work for. Then they are tested and evaluated to be certified. Please call 408-298-3212 for pricing and class scheduling or click on the training link. Employers are your operators trained or are you at risk? Forklift safety and proper training is a crucial part of running your business. Remember, forklift safety is an ongoing learning experience. 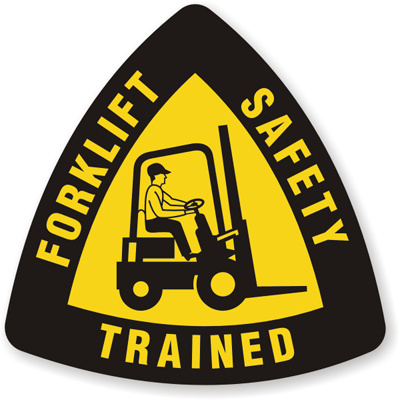 Proper training in accordance with OSHA requirements should be the first priority for all forklift operators. Contact us for details on operator forklift safety training. 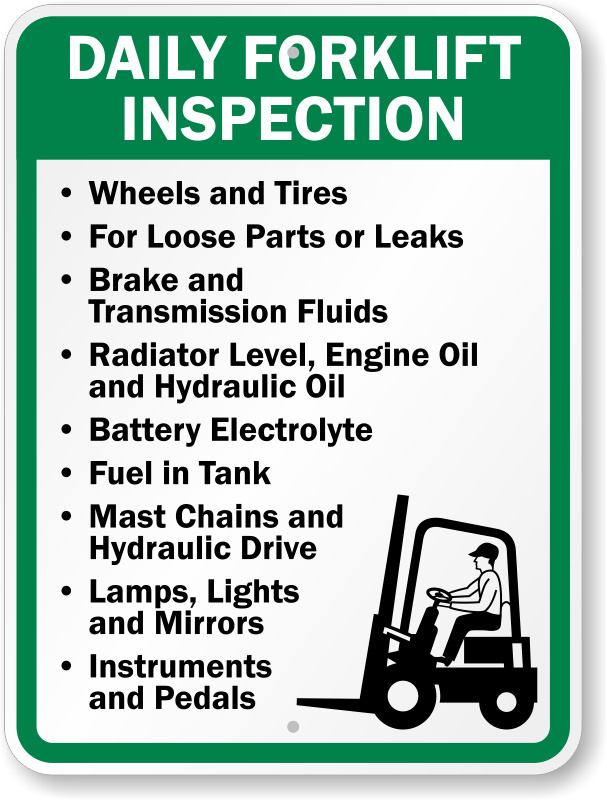 Don't forget to do your daily inspection before you operate your forklift. Contact us for any repairs needed for most makes and models and we will send our qualified technician to get you up and running again. it is the job of both forklift operators and pedestrians to maintain a safe facility. We’re all in this together! 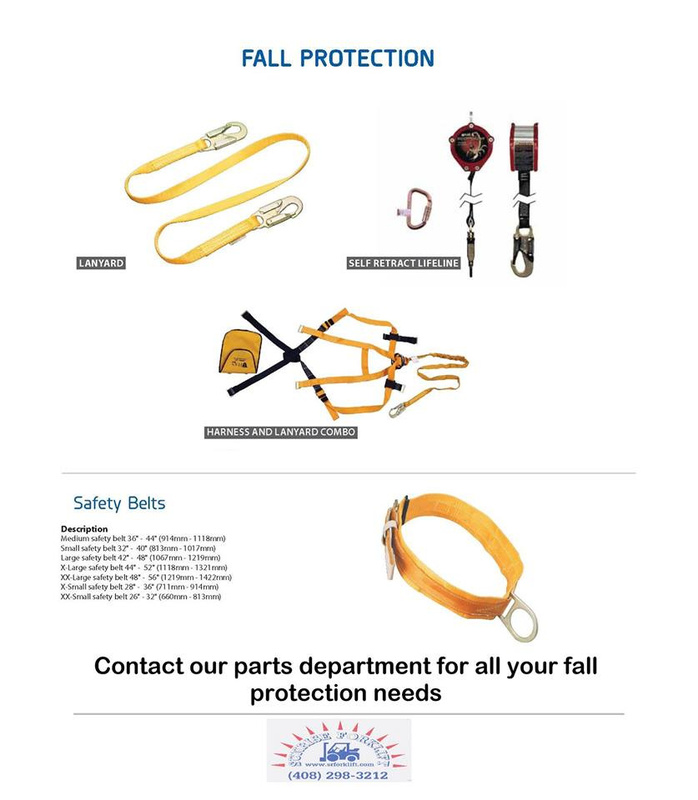 Contact us for all your safety needs.